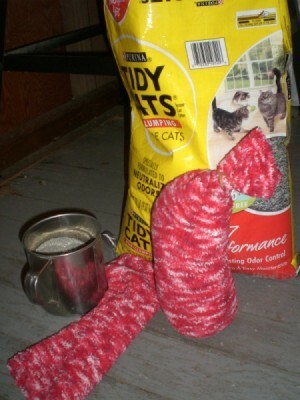 Pour some cat litter, scented or unscented, into a pair of heavy socks or sock slippers and close it with a rubber band. Drop the litter filled socks into the pair of shoes or sneakers. Litter was created to reduce and remove some heavy duty odors, so it's perfect for this! 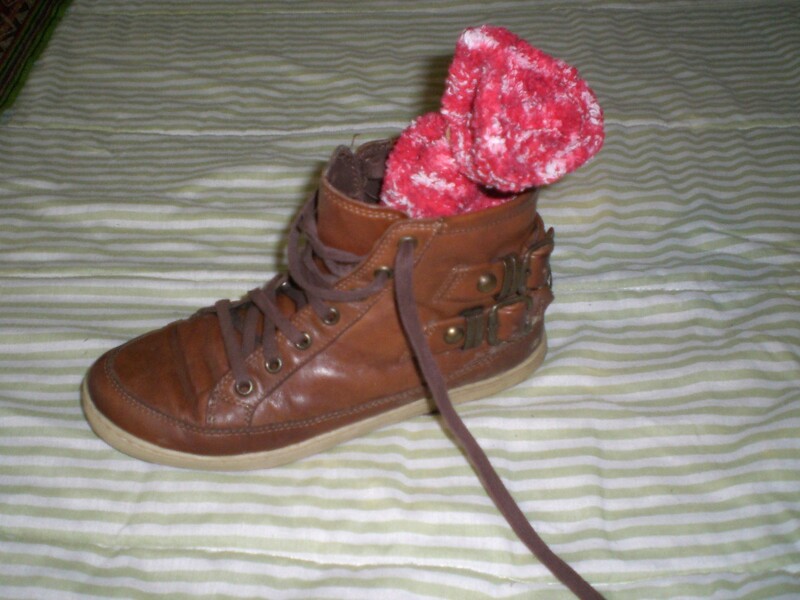 My daughter also had a new pair of shoes that were a little tight fitting, so we just stuffed the litter filled socks tightly into those shoes (I did spritz the inside of the shoe first, ever so slightly) and it did loosen them up to fit her better too! Just in time for school.